#153. Two Cows. 26 x 36, oil on canvas relined. "Gilbert Munger" claimed lower right. 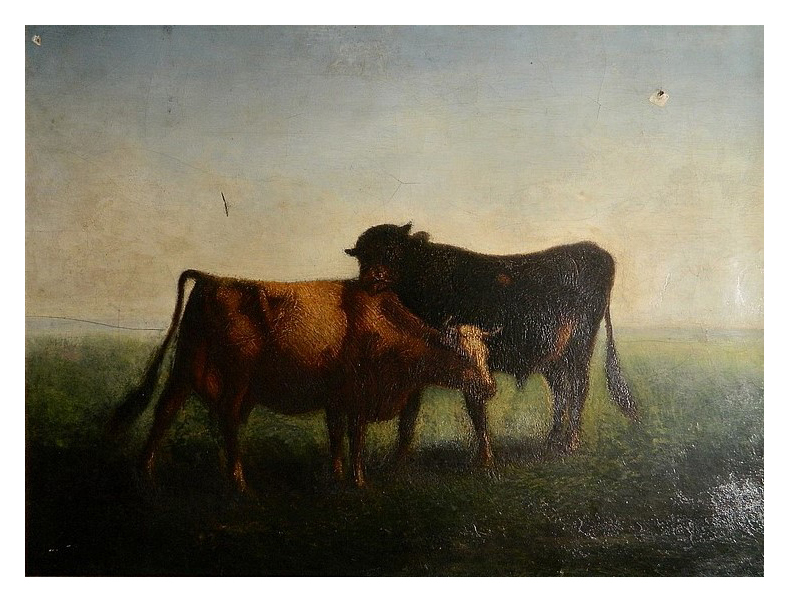 Sold for $600 + premium at Rachel Davis Fine Arts, Cleveland, auction on 24 October 2015 as Lot 4. 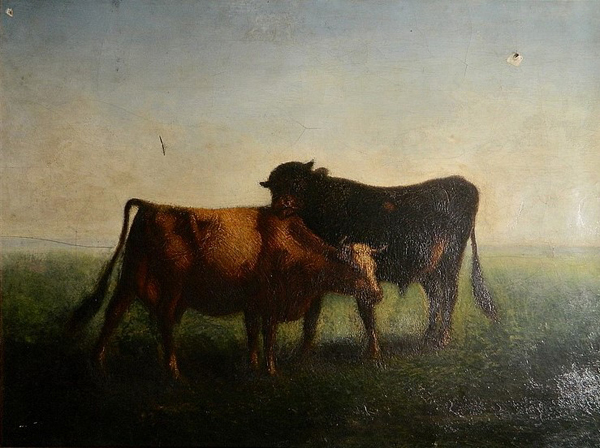 There are some distant cows in some of Munger's French paintings, but this example is so devoid of background that it is impossible to assign it to a locale. Image is from the auction web site..